Heat oil in heavy pot or Dutch oven. When oil is hot, gradually add flour, stirring continuously until mixture is well mixed. Reduce heat and continue stirring until mixture is a chocolate color. 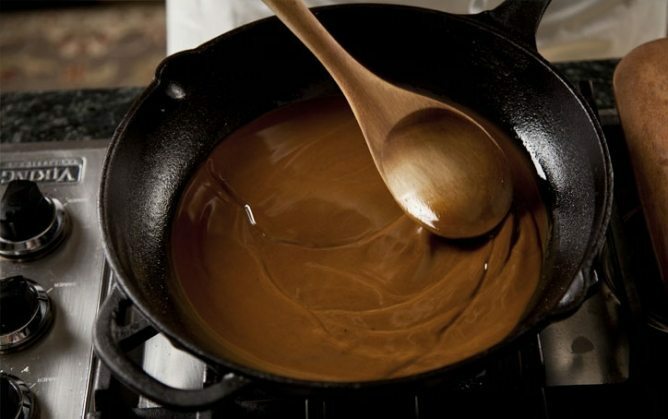 When roux reaches chocolate color, remove from pot and set aside. Tip – use warm water to dissolve the roux. This is the base for a lot of Louisiana recipes. It keeps well inside or out the refrigerator so you can make it in advance.